Best of 2013 from our members. Mark Schofield training in Southern Pines, Nc. Conner a Dutch Warmblood gelding. I took this photo in July of 2013. The bugs were extremely bad outside so we moved into the arena and used the light from an adjacent window for the shot. This is my favorite shot from 2013. I had a farm shoot at a small Andalusian farm that is out-of-state for me and quite a distance away. The weather was horrible, it was raining buckets - a far cry from the sunny weather we'd all planned on for June. They don't have an indoor arena, just a small covered area for three season riding. I had (thankfully!) planned ahead and packed a backdrop and some studio lights. While the focal distance isn't ideal, considering what I had to work with and the numerous challenges we faced, we pulled off two days of stills and video. The client is ecstatic with the work, and I was really happy that we accomplished what we did given all of the adversity. Great work by everyone - the shots posted so far are gorgeous! 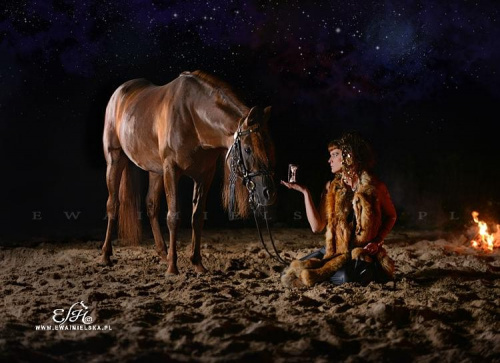 This image is a favorite from the Winter Retreat at the Flying E Ranch in Wickenburg, AZ. This is my favorite from the spring plowing taken in Zandhoven, Belgium. The man behind the plow is a real character and very kind to his horses. He is very typical of the Belgian farmers there. Diva and Rejoice summer 2013. My little clone of momma! I have a lot of favorites from this year but I think the biggest highlight was going to Iceland.